Two unreleased soundtracks from electronic genius Bernard Parmegiani – both surprisingly tuneful, although also equally abstract! 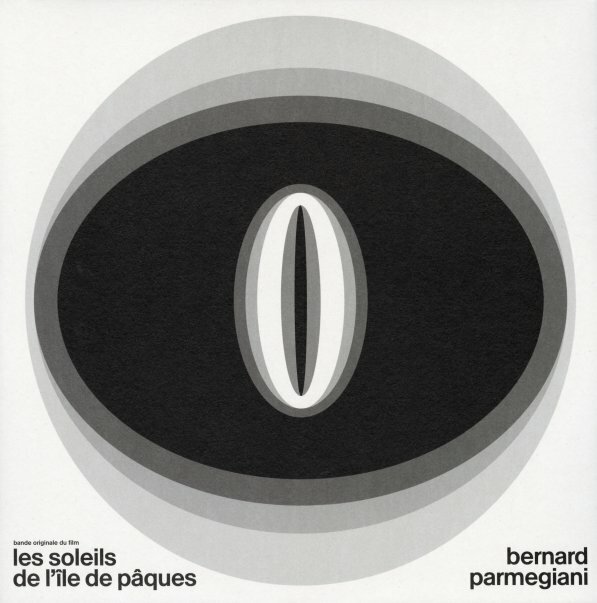 The songs for Les Soleils De L'Ile De Paques are mostly in a cyclical mode – like more condensed versions of some of the long-spun keyboard experiments by Terry Riley – particularly in the years after A Rainbow In Curved Air. Bernard takes that energy and compresses it, often using it in smaller mini-cycles that are completely hypnotic – maybe as much as the image on the cover! La Brulure De Mille Soleils is equally electronic, but much more dark and spooky – with some songs that are quite short, and often at the range of aural understanding – mixed with a few longer numbers that really have a stark sense of horror! A few of the tunes often feel like a stripped-down take on more classic horror tension moments – mixed with others that have all these deep tones that feel as if they're almost inspired by Varese. © 1996-2019, Dusty Groove, Inc.